The minute I saw Beka’s post about the Archie scrapbook, I knew that I had to participate in this week’s blog hop. 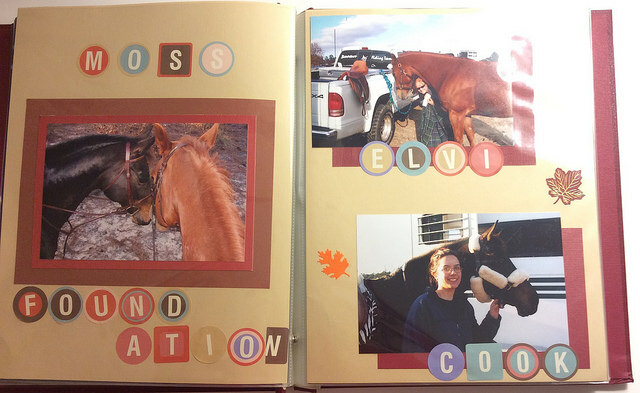 You see, once upon a time I was an avid scrapbooker. You can add that to my dorky hobby list, if you’re keeping track. 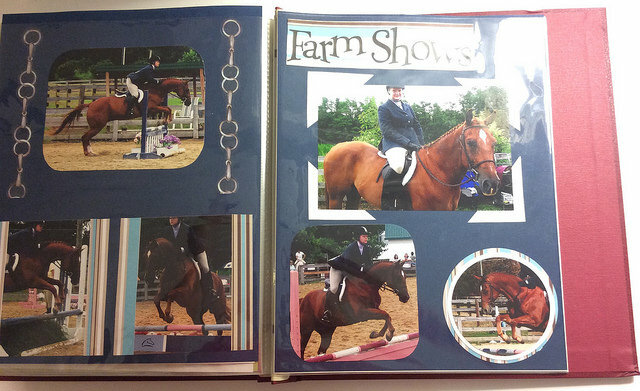 I would scour craft sores in search of horsey themed paper, embellishments and all other sorts of cool papery things. 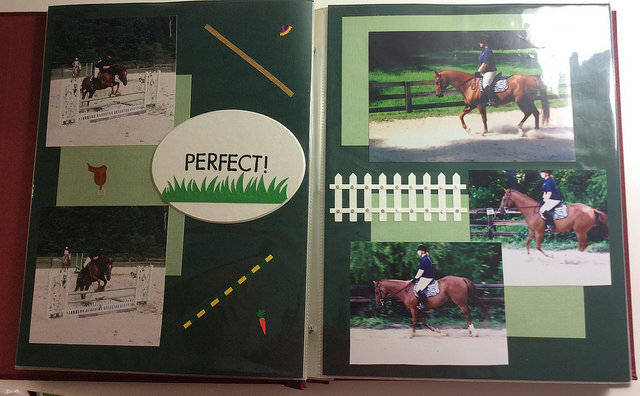 My scrapbooks started pretty elementary and eventually got fairly well designed as my tool kit grew. 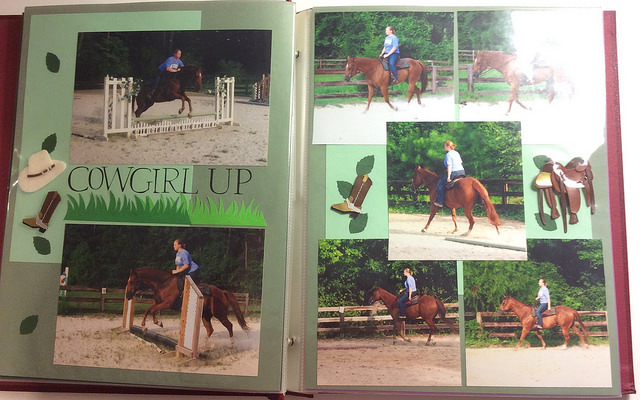 A horse friend in NC turned me onto the hobby, and we would get together and make elaborate scrapbooks of our ponies… like cool people do. 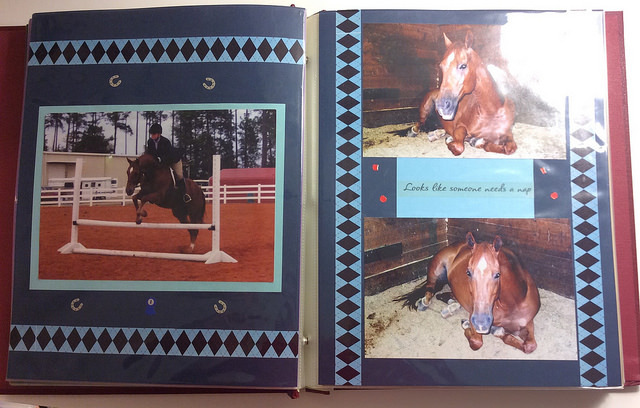 Though I no longer make physical scrapbooks, I’ve kept all the ones I made. 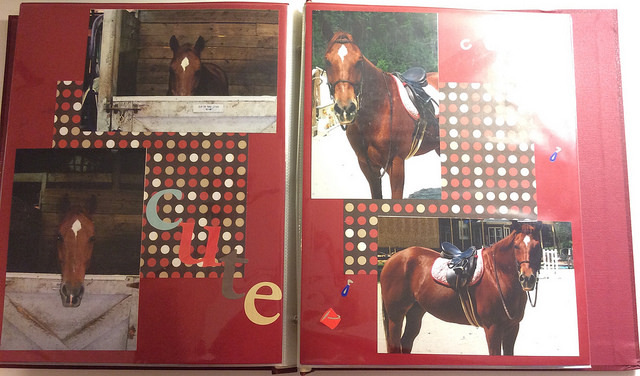 I have one for random horses, one and a half for Eliot, one for traveling and one for friends/college stuff. 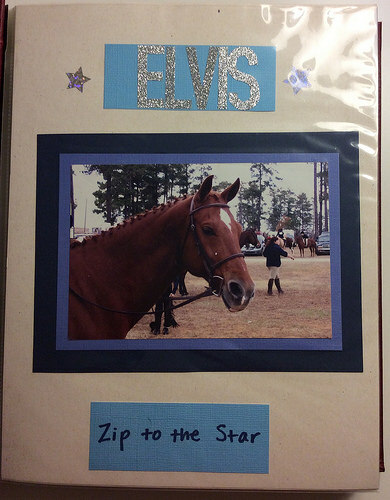 Of course, I also had one for Elvis which is what I wanted to share today. 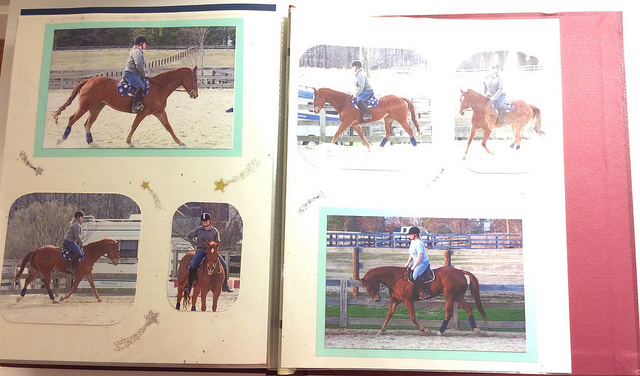 Sorry these pictures are so bad, but I had a great time flipping through these memories last night and looking back on some of my time with him. Have you ever been a “scrapbooker”? I’ve tried digital, but it never stuck. 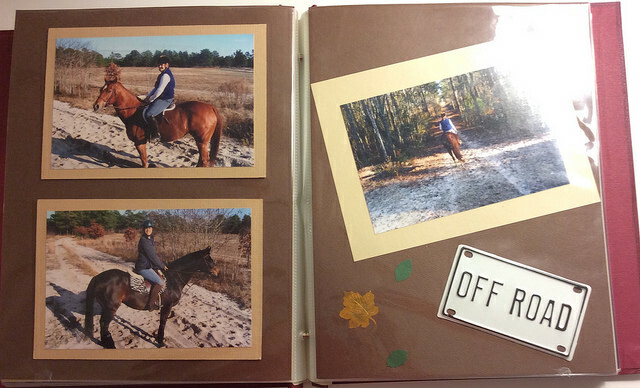 I prefer just making straight up photo books now. Super cute! It must be nice to have all your memories organized like that! So I made a Phoenix scrapbook before I knew the idea of scrapbooking existed so most of his is elementary and made using clippings from magazines. I’ve shared some pictures from it before. I love it and it gives me great memories every time I page through. 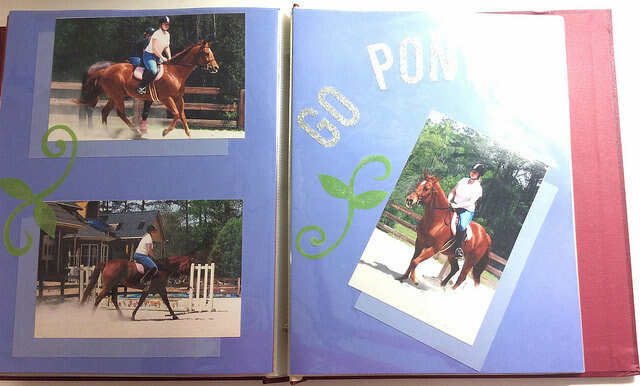 Your scrapbook is really great! Cool! I got the Zippo breyer when he came out too 🙂 Elvis goes back to Zippo Pat Bars, which is Zippo Pine Bars’ sire. 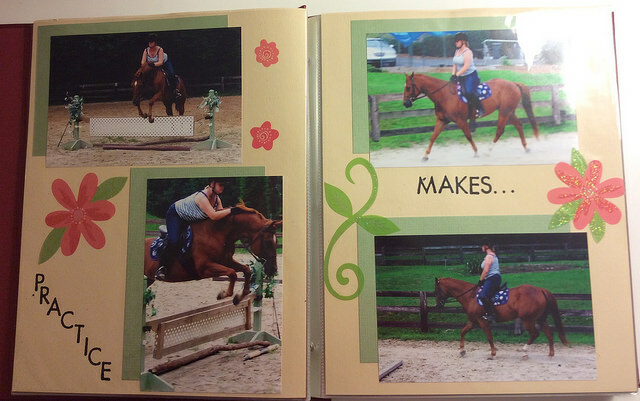 You guys are making me want to make a scrap book of my own! 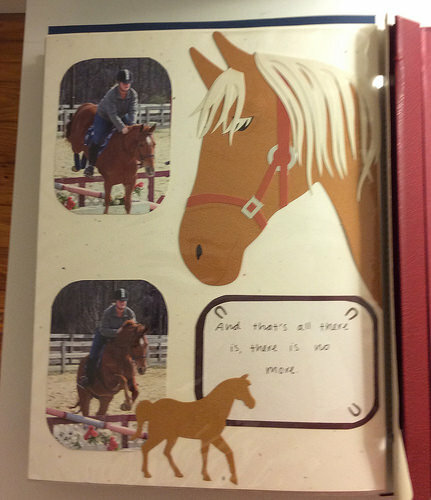 I used to scrapbook a TON. I have about several different books – I’ll have to share them one day! 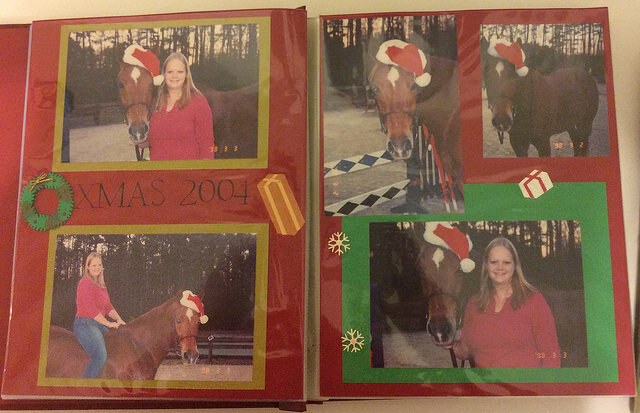 Oh man, I think the last printed photo I had of a horse that I’ve owned was like 2006 or 2007? You are so creative! I’m so very not creative. Anytime I try to be remotely creative it winds up looking like a Pinterest Nailed it! Fail. So I’m just going to stick to admiring your pretty creative things. This is too darn cute! 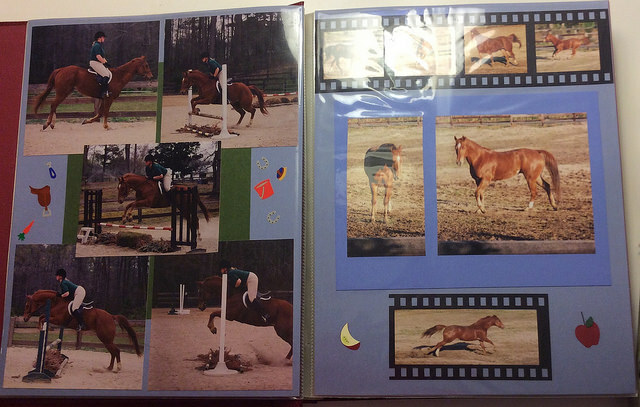 I wish I had the time for scrapbooking, but I consider my blog my digital scrapbook instead. Faster and cheaper, if not nearly as adorable. 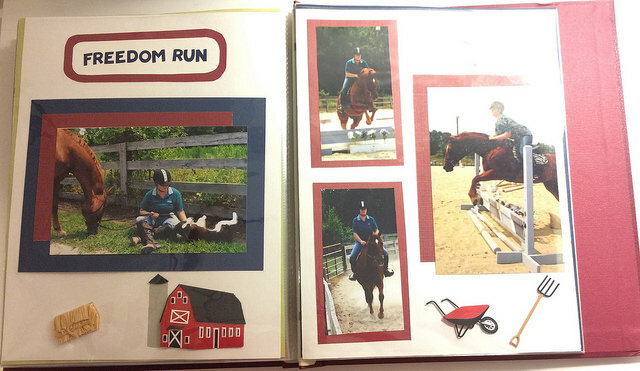 Do you miss scrapbooking now? 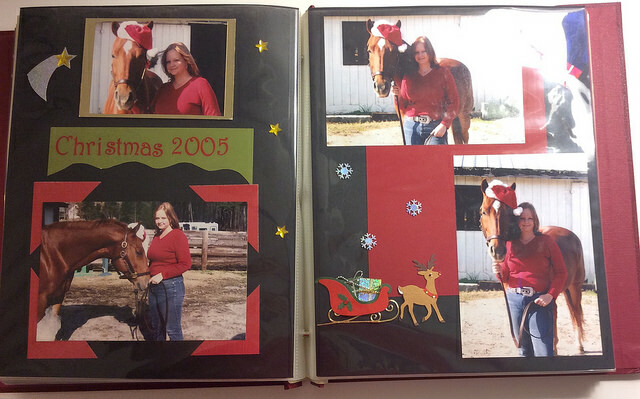 I have always wanted to be a scrapbooker… enough so that one Christmas my mom basically gave me all scrapbook themed presents… which I never used. I can never get the pages to look nice, you do a great job!! Love this one of Elvis! Love that! So nice to have that saved in a book! This is so cute. I really should get better about doing photo books of the now. 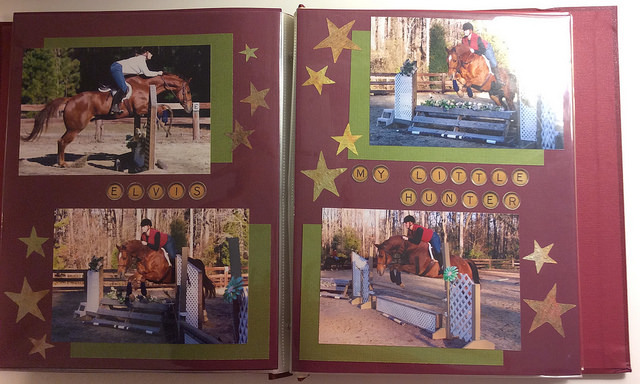 love this – what a nice scrapbook to have and cherish! 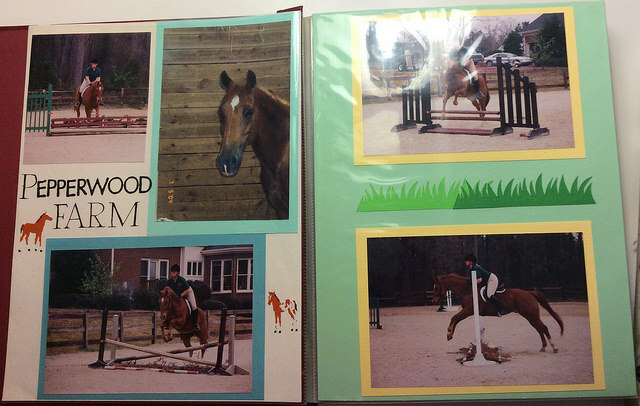 i used to keep nicer records like this in journals and homemade albums… but these days it’s all digital. not sure how i feel about that! 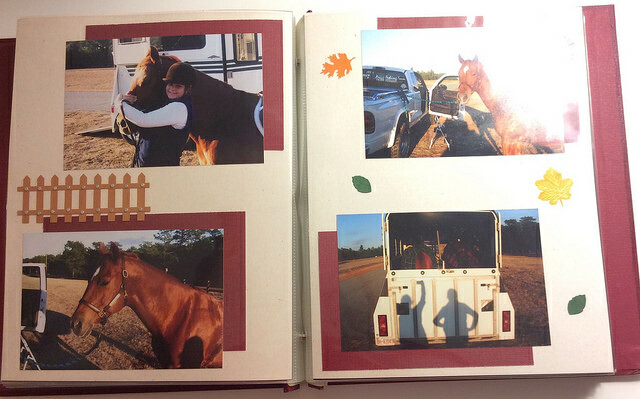 Not per se, but I did keep a writing notebook that included photos and stories. Once I started blogging, I ditched that medium in favor of the world wide web. This is soooooo much better!!!!! 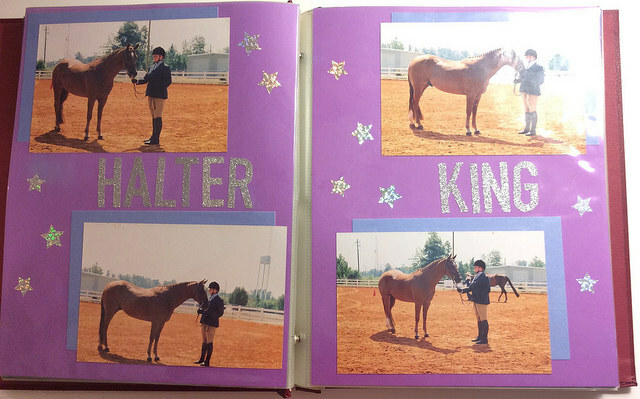 Those scrapbooks are amazing. I remember doing stuff like that. Not dorky at all. There was a little boutique-y scrapbook store in Newport Beach called Oh Scrap! I always smiled when I saw the name of it en route to our frozen yogurt shop.